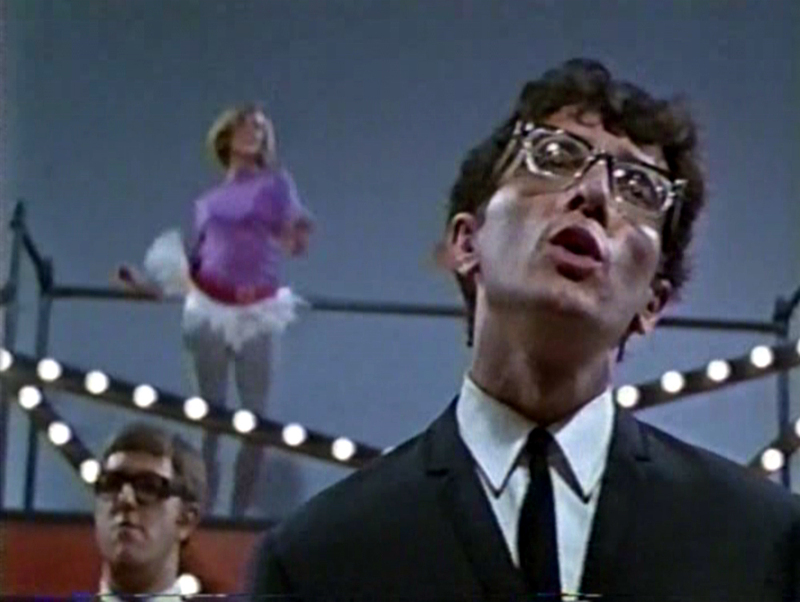 It's time for another special Saturday night, and tonight's segment of rock and roll in the movies is literally "Out Of Sight!" 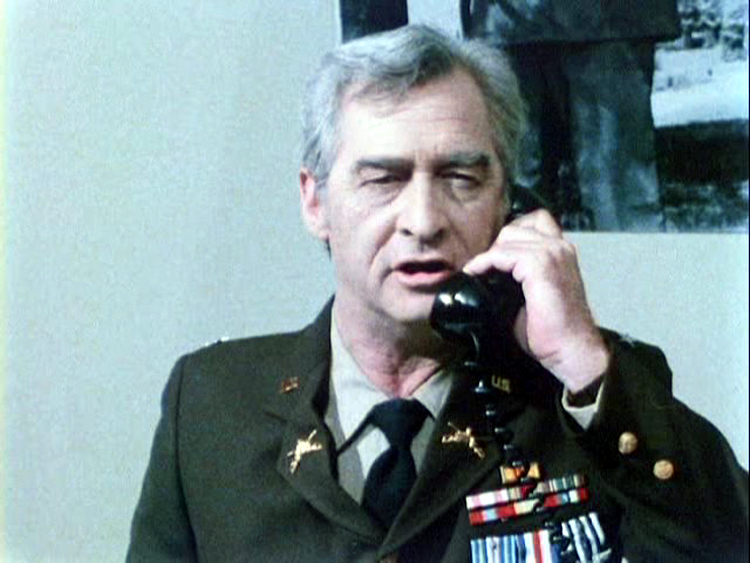 If you wonder what it's all about, a good reference point for "Out Of Sight" would without a doubt be "Catalina Caper! 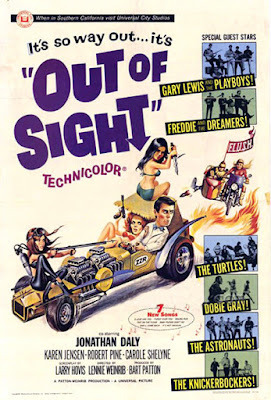 "Out Of Sight" is a movie about hot chicks and cool music, and that pretty much sums up the whole thing! These two are the good girls Sandra and Marvin! And these three are the bad girls, Scuba, Wipeout, and Tuff Bod! Oh, Yeah, and idiotic idiots, lots of them! In fact these jokers are so dumb, one of them is even called Huh! 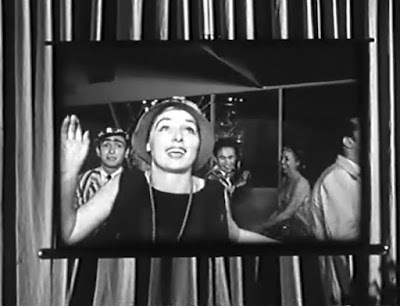 You probably saw that beach ball there, so you probably figured out that "Out Of Sight" is a beach party/surf movie! 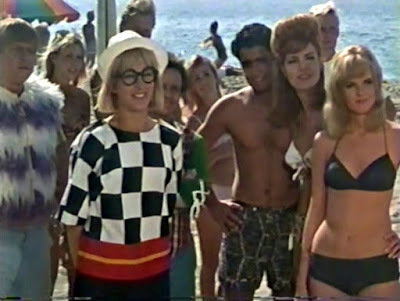 Girls in bikinis and hot rods, that's what rocked in 1966!! A guy named Huh! and a chick named Marvin, and they both have a unique sense of fashion attire! 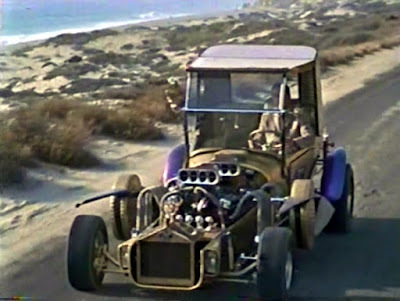 The amazing George Barris was responsible for the custom car design of the ZZR hot rod! Dammit! George just passed away in November of 2015! The gal who played Marvin, Carole Shelyne, also left the planet in June of last year! "Out Of Sight" is basically just another presentation of 1960's rock and roll with bands like Gary Lewis and the Playboys performing songs like "Malibu Run," wrapped around a very stupid story! 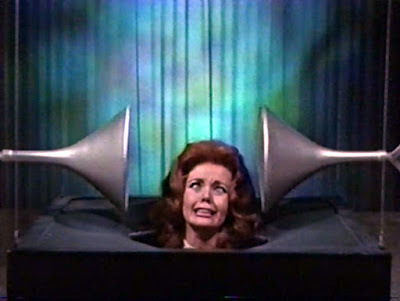 Thank God for the music, or it would be almost unwatchable! Talk about musical diversity, The Knickerbockers hailed from New Jersey, not California, and instead of doing their hit song, "Liar, Liar," they perform a cover of the Tom Jones hit from a year earlier, "It's Not Unusual!" 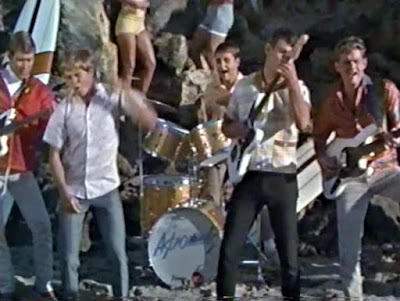 The Astronauts were mostly a instrumental surf band, but here for some reason, they perform a vocal cover of "Baby Please Don't Go," the Big Joe Williams tune that was a decent hit for Van Morrison and Them in 1964!! 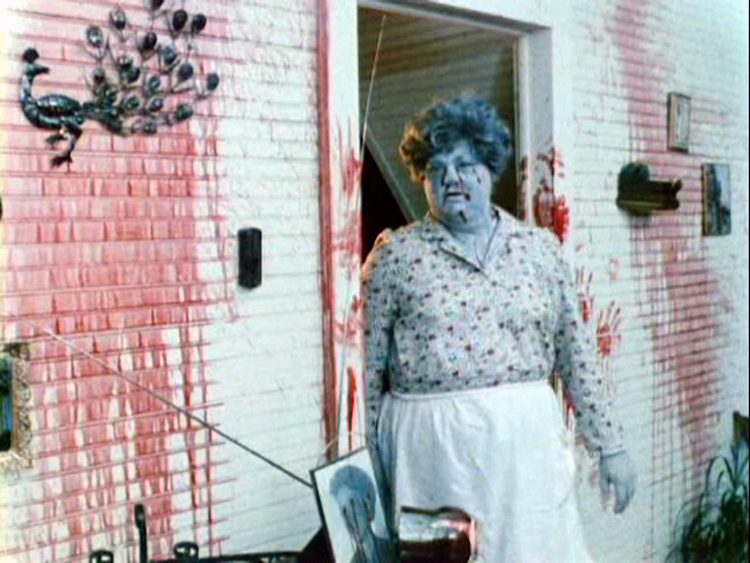 Weirdsville! 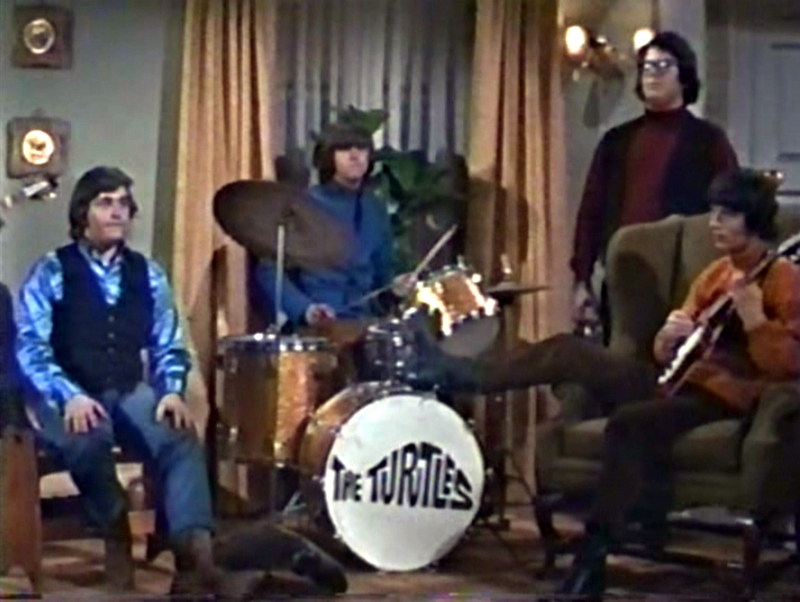 The Turtles were already an established band at this point, but their biggest hits like "Happy Together" were yet to come! 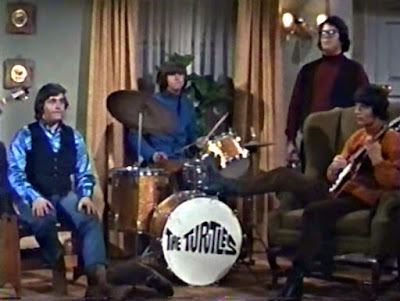 It's weird to watch Howard Kaylan perform the whole song "She'll Come Back" sitting down! 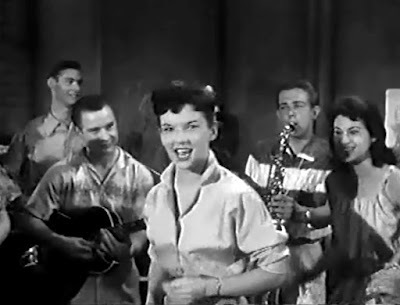 For even more diversity, they brought in the popular Brit band, Freddie and the Dreamers to perform two songs, "Funny Over You" and "A Love Like You!" 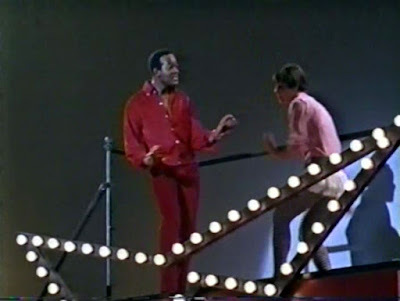 And finally, we get a full Shindig like performance from the "In Crowd" man himself, Mr. Dobie Gray, who performs the theme song, "Out Of Sight (Out On The Floor)!" I'd like to give you the whole soundtrack to "Out Of Sight," but since that's not legally possible, I'll just leave you with these two shots of the torture machine that repeats this song over and over that kind of reminds me of "The Gong Show" theme! 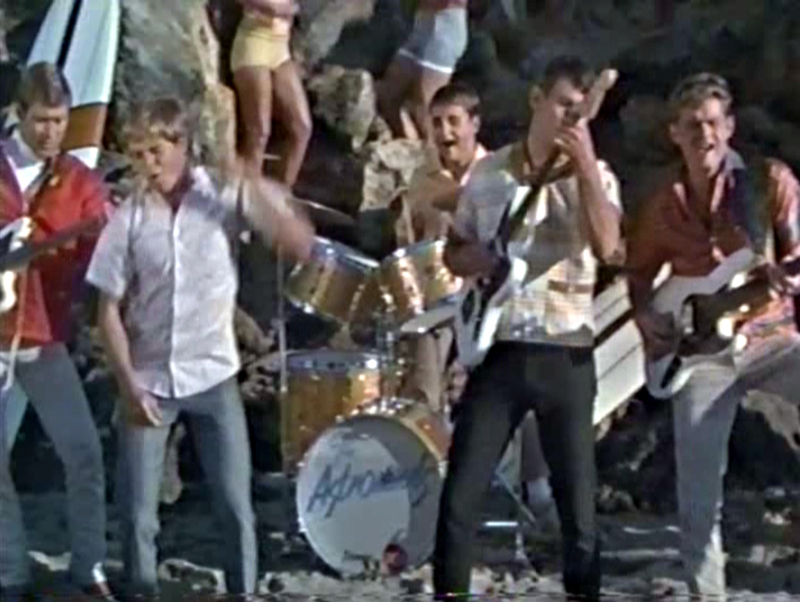 It was designed to drive rockin' kids mad, and it just might work! 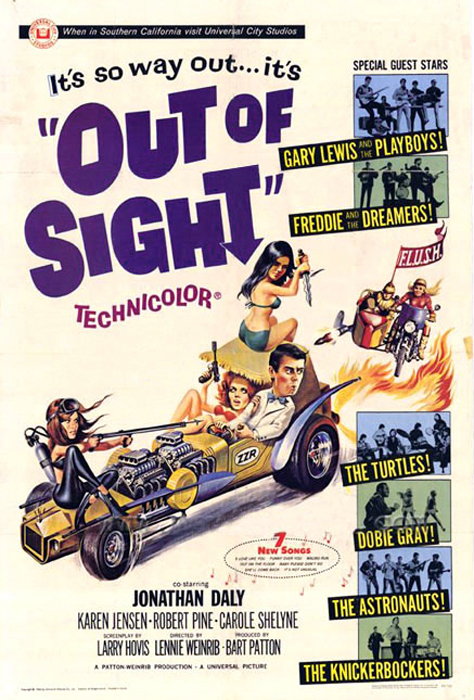 "Out Of Sight" is a classic piece of 1960's schlock that's not great, but is interesting and fun from a historical standpoint! If you'd like to find out for yourself, then you're lucky enough these days that you can find a copy over at The Trash Palace! Tell 'em Eegah!! sent you! 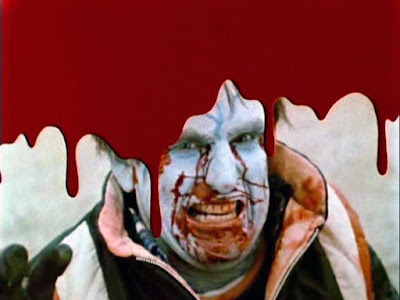 In the quest to include in our Dungeon Cyclopedia as many wild 'n' weird movies as we possibly can, well, there are times when we just have to take a hard kick to the nuts in order to move things along. That's the case with today's WTF!! 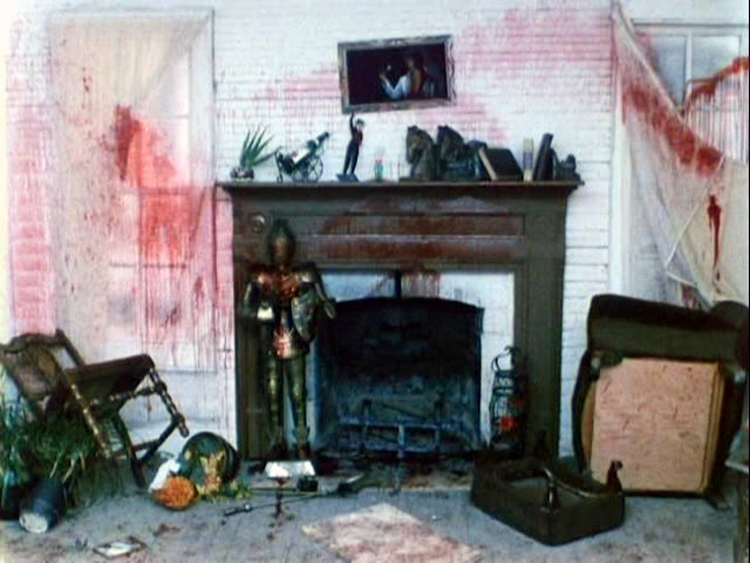 piece-o-crap. 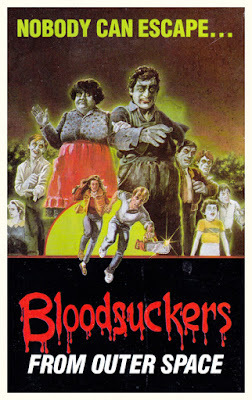 I dare any of you out there to watch it, a cruel punishment. There's a big difference between comedy and parody, THE THREE STOOGES is comedy, this is definitely not comedy even though it's billed as such... It's soooo bad, it's STUPID BAD! 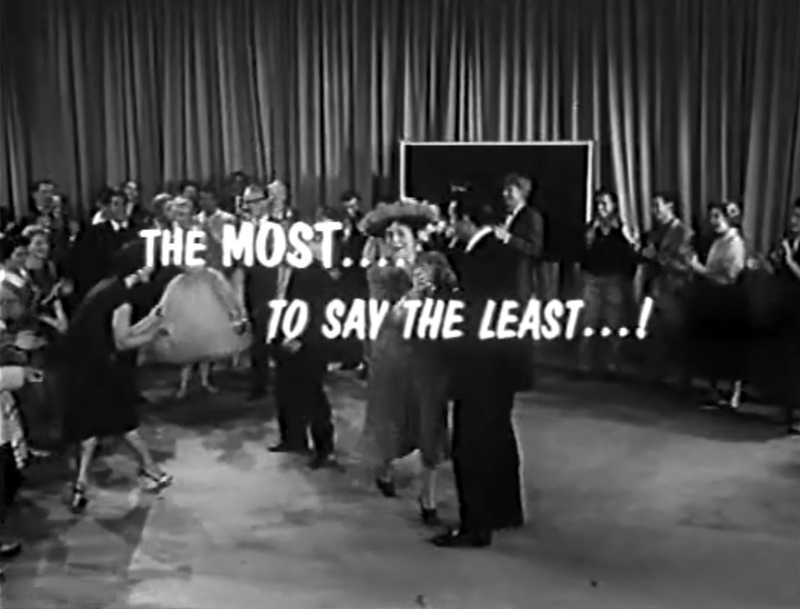 Check out some of the moronic dialogue in the sound clip to verify. 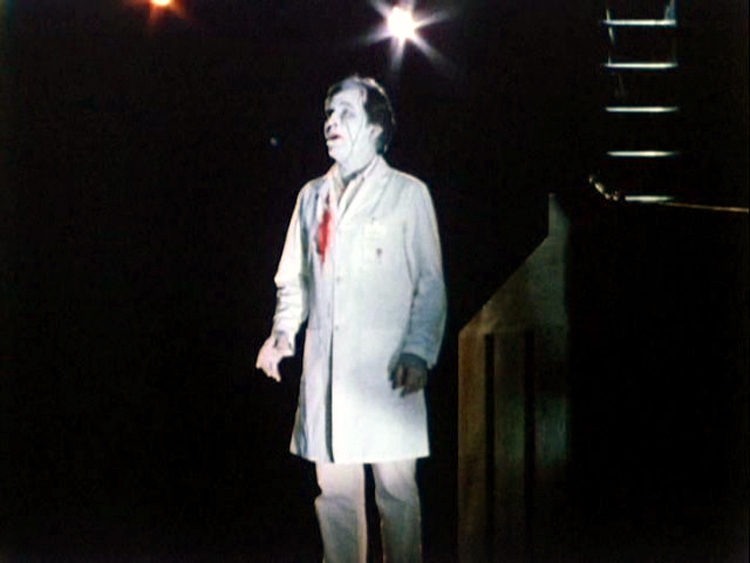 The scream you hear at the beginning of the sound clip is how you'll feel after you watch it! 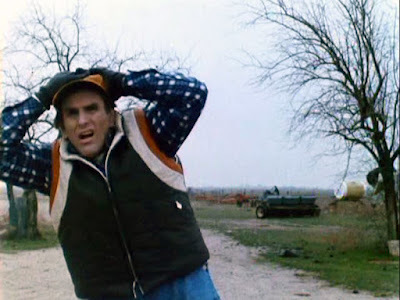 The teaser has our big farmer out working in the yard when a weird loud noise from nowhere surrounds him and he turns into the first victim, a freakin' bloodsucker from outer space? I have a sound clip from this thing for your approval, sooooo, you can push the big red 'GO' button located there by our crap movie shelf, NOW, Rufus The Gnat!.. 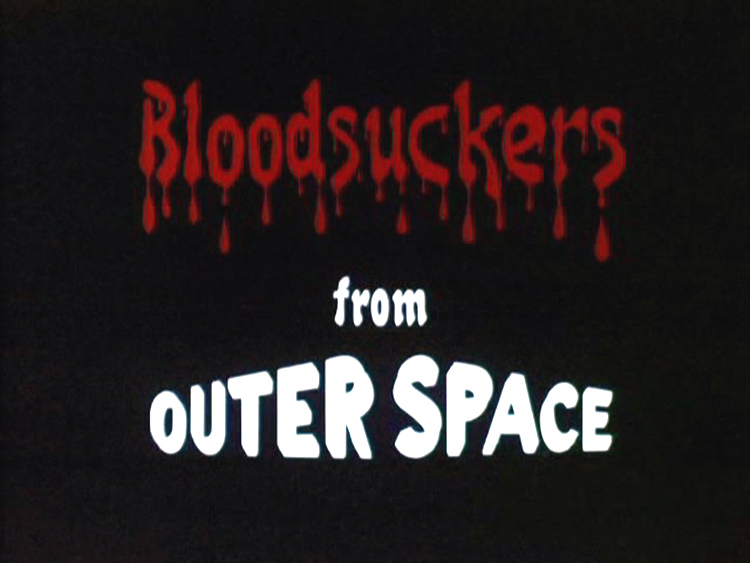 Here's... BLOODSUCKERS FROM OUTER SPACE! 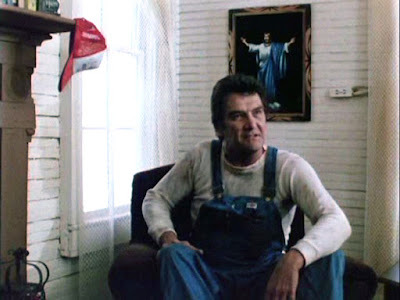 I think this weird dude is Uncle Joe (I paid no attention while watching) and you can hear him in the sound clip tell y'all whut he lurnt by watching Fox News! 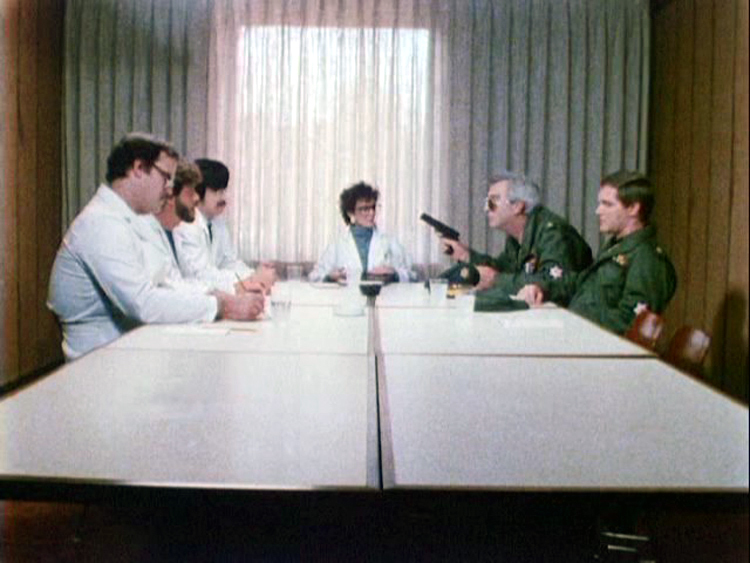 The military joins the local medical team to try and solve the bloodsucker problem. Funny? NO! 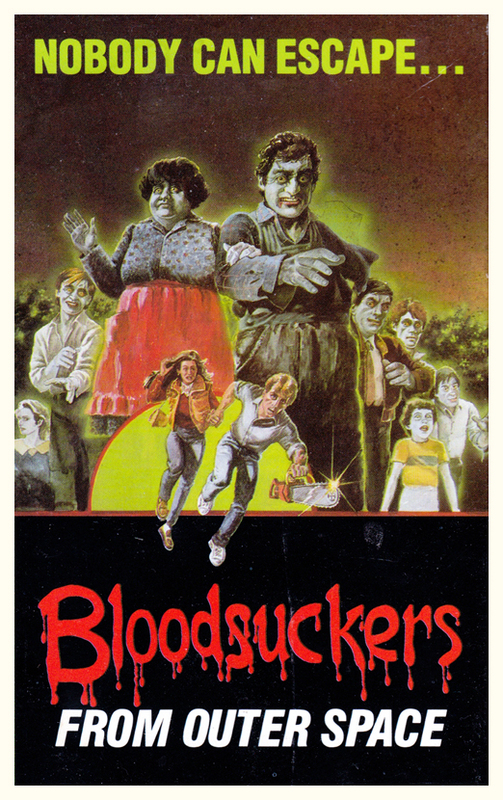 Our curious hero and his girlfriend visit the farm to try and get some answers about those pesky bloodsuckers. They get no answers from the busy farmer, so, go into the house to see the wife. Nice place, comes with a tom turkey! Not sure what's going on here besides a fight, but, looks pretty interesting. Our hero grabs a chain saw and lops off the farmer's forearm, then, splits with his girlfriend. 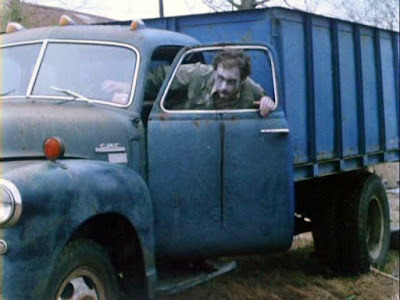 I really like this shot, a bloodsucker piloting that classic Chevy dump truck looks cool. 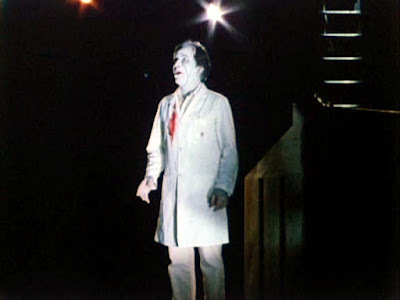 This weird looking guy shows up sometime during the movie to confuse things! 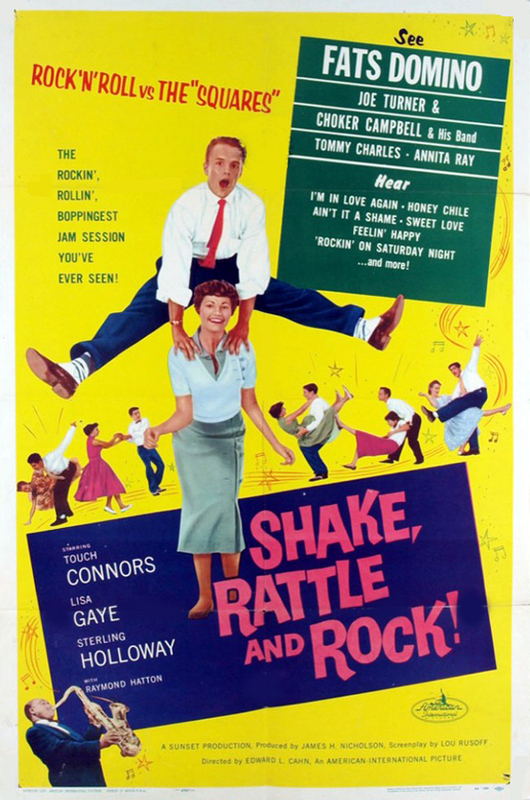 So next up in my series of rock and roll in the movies is a great little James H. Nicholson and Samuel Z. Arkoff film from 1956 called "Shake, Rattle & Rock!" 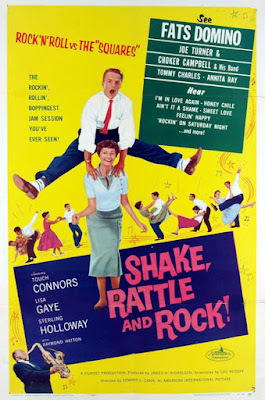 This film is a time capsule that features rock and roll in transition, and makes me realize how much we should all appreciate how much producers James H. Nicholson and Samuel Z. Arkoff have done over the years to further the cause of rock and roll! 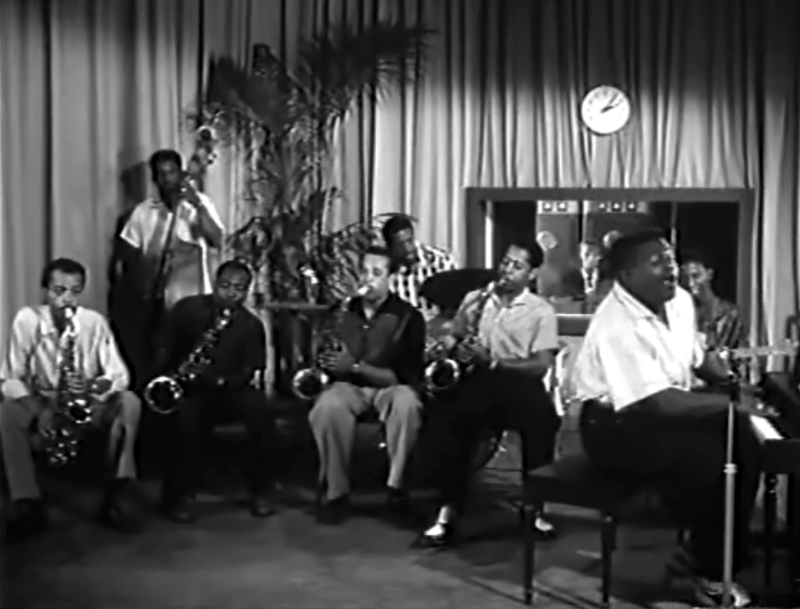 They were either premiere exploiters of the genre, or just incredible fans of music, but either way, these guys were on a cutting edge that probably doesn't get recognized often enuf! 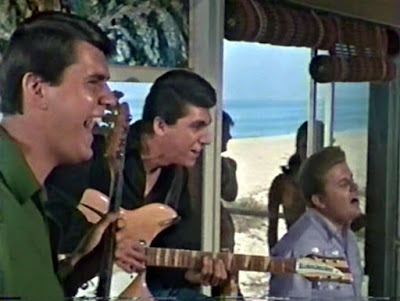 In fact, and I'll go out on a limb here, but won't fall off, in the real world, James H. Nicholson and Samuel Z. Arkoff should also be in the Rock and Roll Hall of Fame! 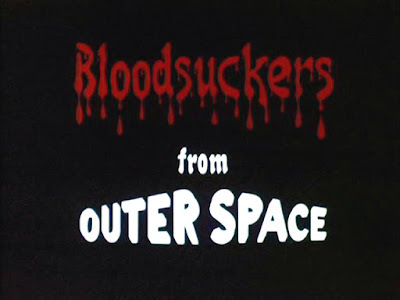 Roger Corman is another one who also falls into this same category! 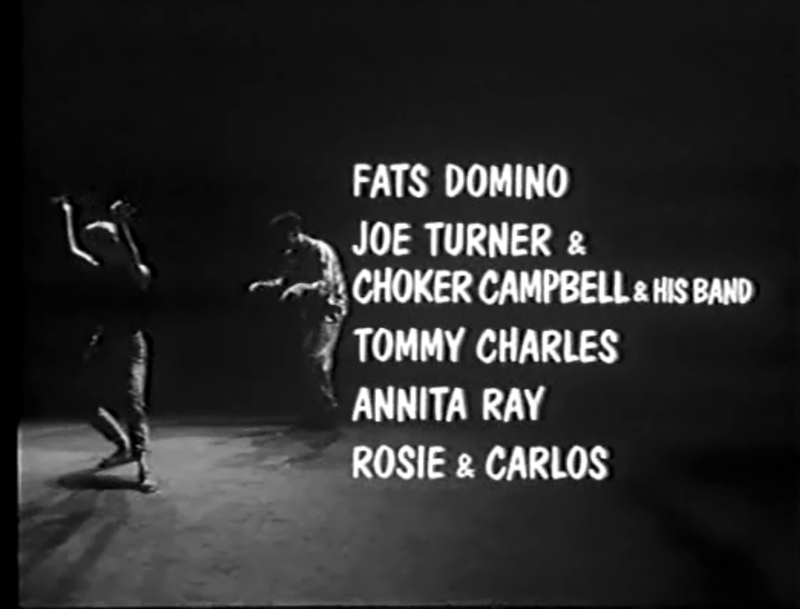 Well, everybody should know who Fats Domino was, and more learned people will know who Big Joe Turner was, but the rest of this musical lineup is pretty obscure! The basic premise is that Touch (Voodoo Woman) Connors is trying to promote a rock and roll TV show called "Rock, Roll, and Shake," but a small group of local fuddy-duddies are trying to get the whole thing shut down because it is totally decadent! 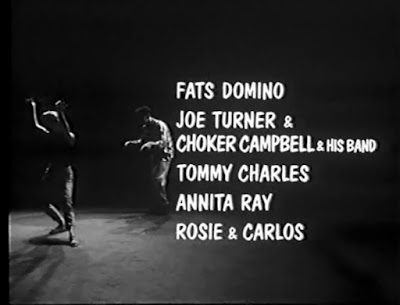 Somebody thought that jitterbug dancers Rosie and Carlos were good enough to include in the credits, but as far as I can tell, their career petered out after this! 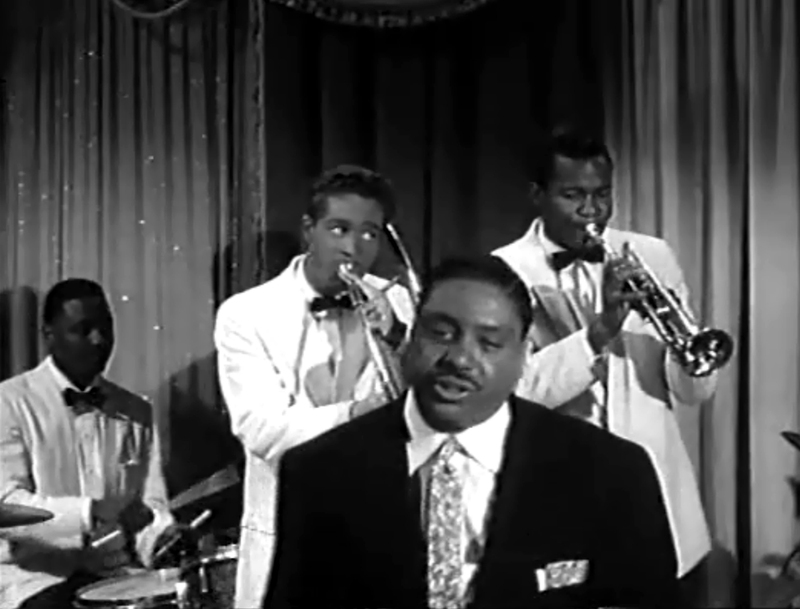 Now you know the secret to the dynamic Fats Domino sound; piano, guitar, drums, bass, and four sax players!! 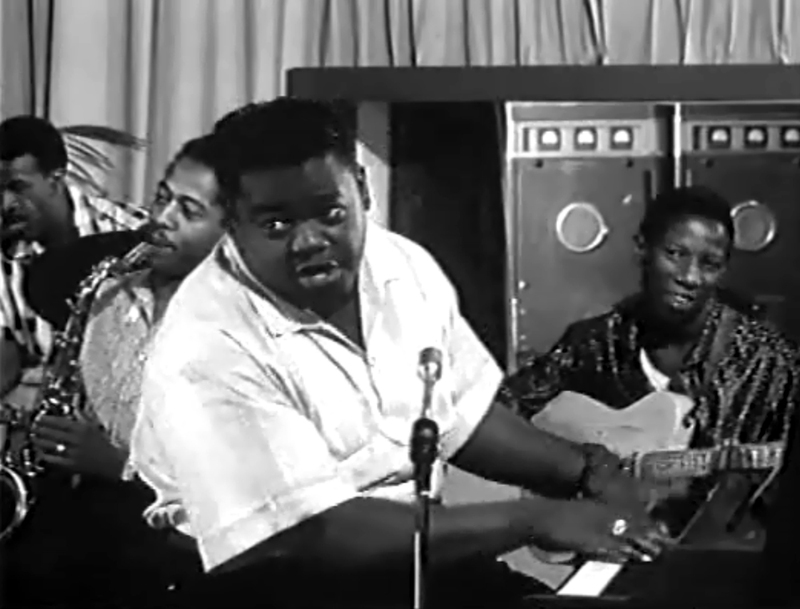 Fats Domino has been one of my favourites for years, and why not? Everything he touches is gold!! 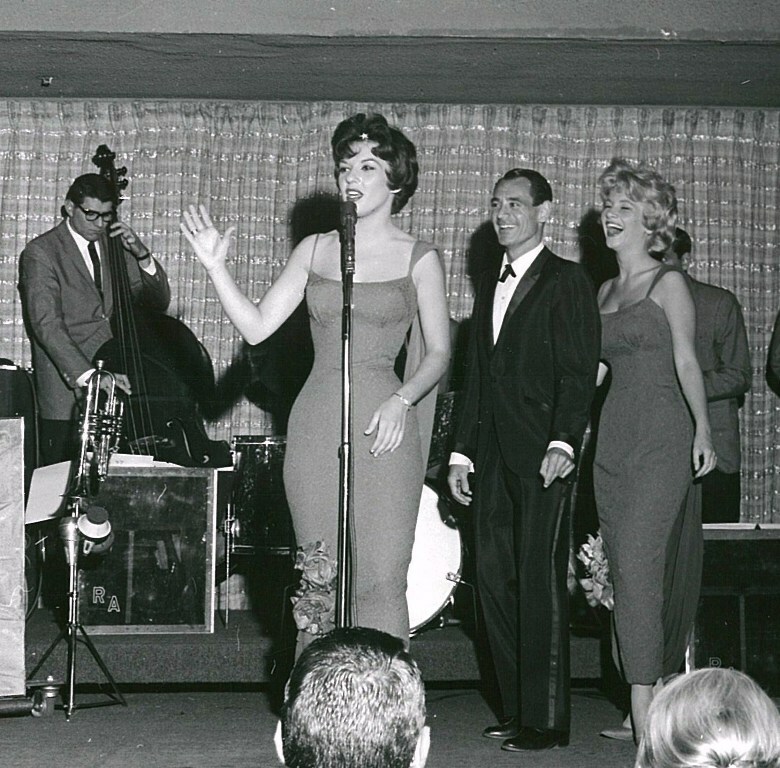 Annita Ray performs "Rockin' On Saturday Night"
Annita went on to sing with the very successful Las Vegas lounge band led by Ray Anthony! 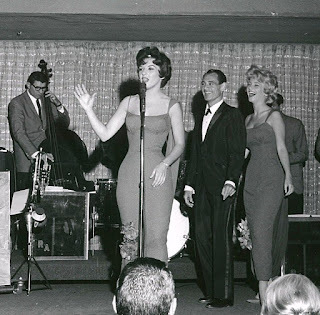 Here's Annita performing with Ray Anthony at Harrah's a few years later! 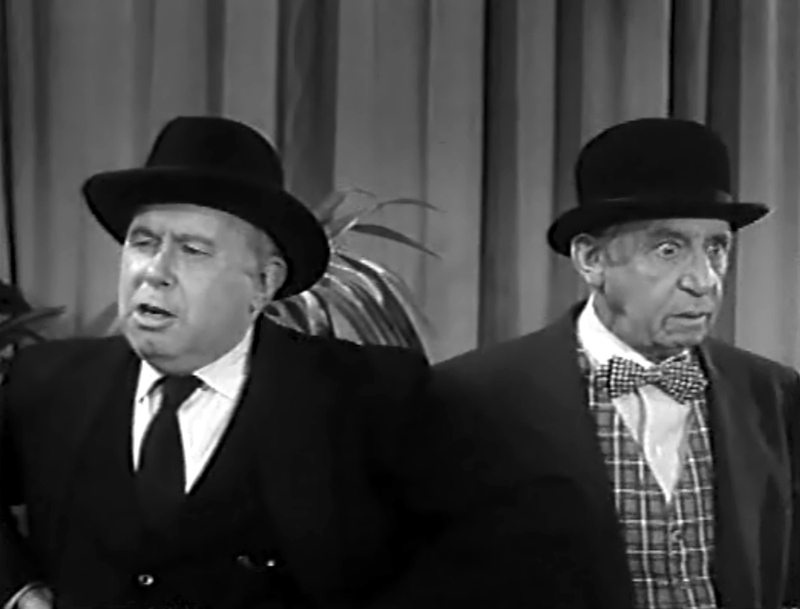 On the left is Percy Helton as the uptight funeral director! Percy also played a funeral director in "Hush, Hush, Sweet Charlotte!" 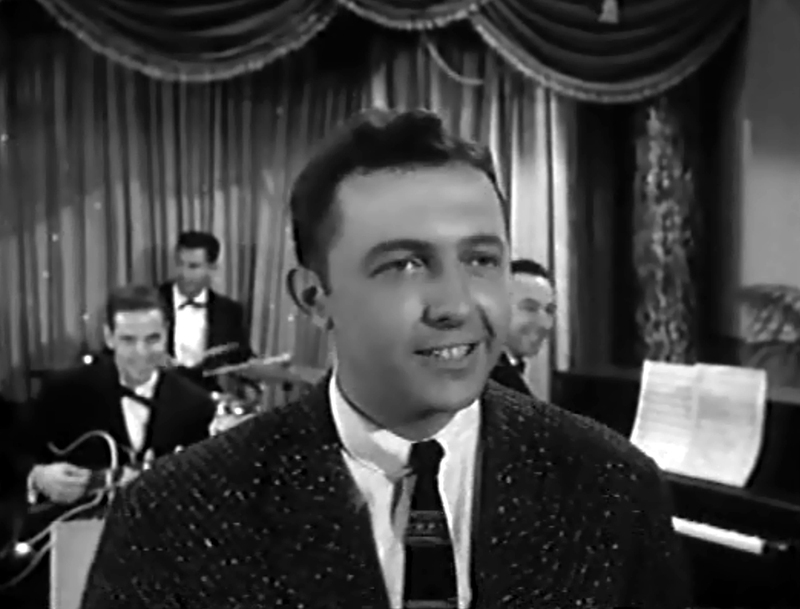 He was also in two "Twilight Zone" episodes, "Mute," and "Mr. Garrity And The Graves!" On the right is Raymond (Invasion Of The Saucer Men) Hatton! These two are some of the misguided folks trying to shut down the whole rock and roll scene! Actually Ramond enjoys it, but he has to go along with whatever stand his wife takes! 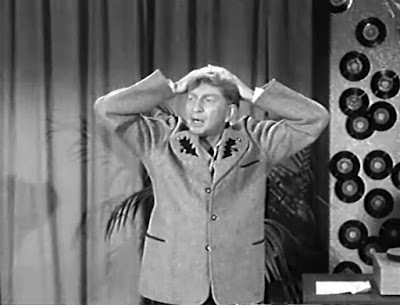 You might not recognize the face of Sterling Holloway, but everybody should recognize his voice! Not only was he the voice of The Cheshire Cat in Walt Disney's "Alice In Wonderland," and "Kaa, the snake" in "The Jungle Book, he was also the voice of Winnie The Pooh in numerous features! 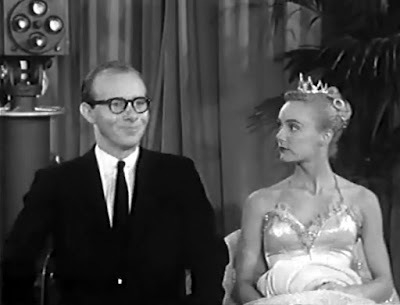 I'll always remember Sterling as the bumbling Waldo in the 1950's sitcom "The Life Of Riley!" 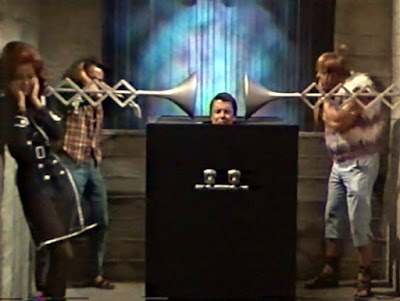 He was also the TV repairman in the "Twilight Zone" episode, "What's In The Box?" 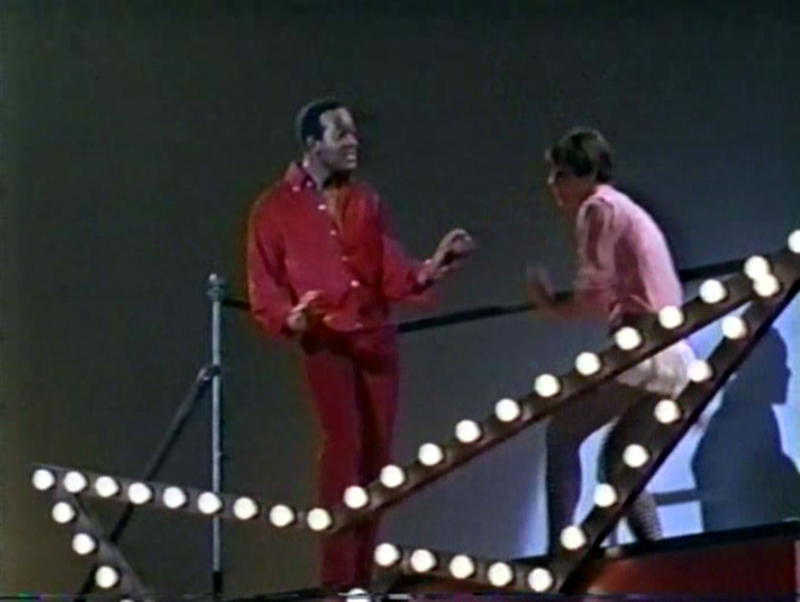 In this film, he's the coolest hep cat on the block, but in reality, Sterling was 51 when this film was made! Big Joe Turner with Choker Campbell and his band rock the joint! If I didn't like Fats Domino so much, I would say that Big Joe's songs are the best of the bunch! 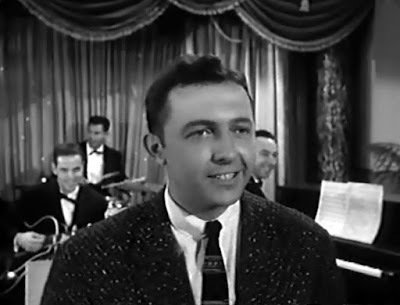 Tommy Charles was a big band crooner with the Horace Heidt Orchestra, and his crossover to the rock and roll scene was doomed from the start! In fact, a few years later, as a radio DJ, he helped lead the 'Ban The Beatles' crusade after John Lennon said that 'The Beatles were "bigger than Jesus!" Here's a clip of Tommy performing "Sweet Love On My Mind!" 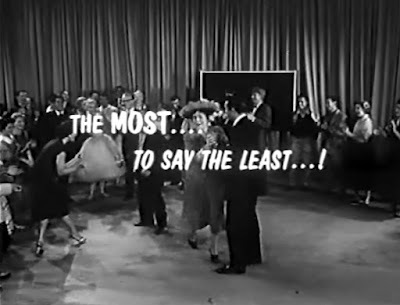 It's not the best music in the movie, but it might be the most interesting! 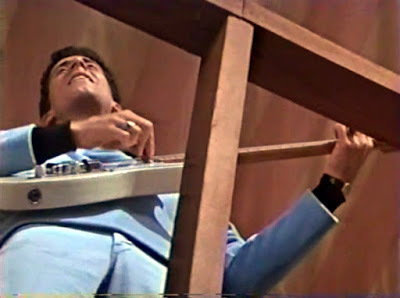 The whole scene goes to court to determine if rock and roll gets to continue or not! These squares are part of the prosecution's case! 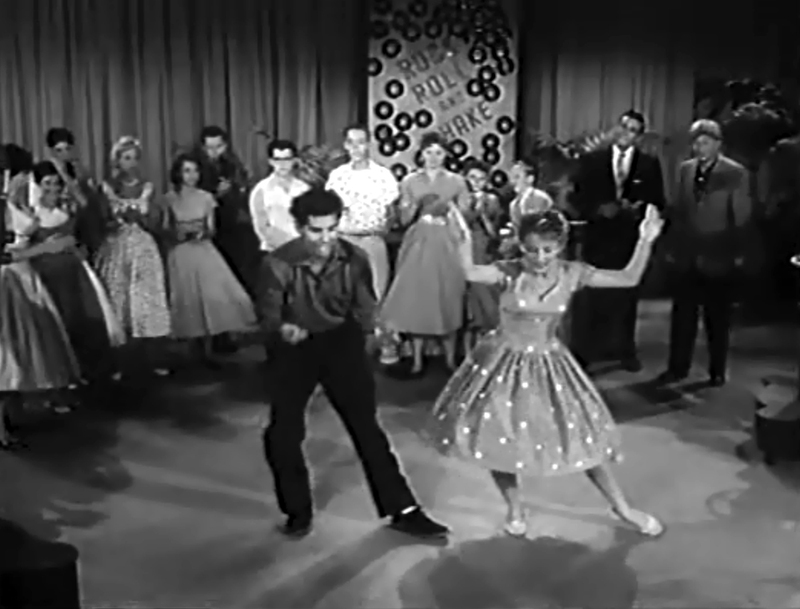 Part of the defense is that music and dancing had been around forever including flappers from the 1920's, and then it turns out that one of the people leading the charge to rid the world of rock and roll used to cut a pretty mean rug herself! 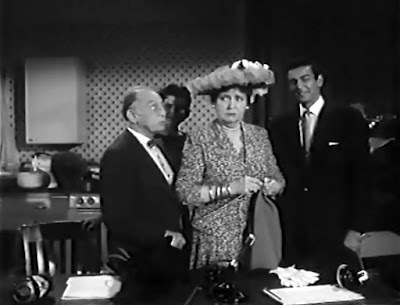 Georgianna Fitzdingle as played by the Marvelous Margaret (Duck Soup, Zotz!) Dumont now has to literally face the music! In an eternal search to find the roots of everything sleazy, I'm heading off to Las Vegas for a couple of days! Wish me luck! 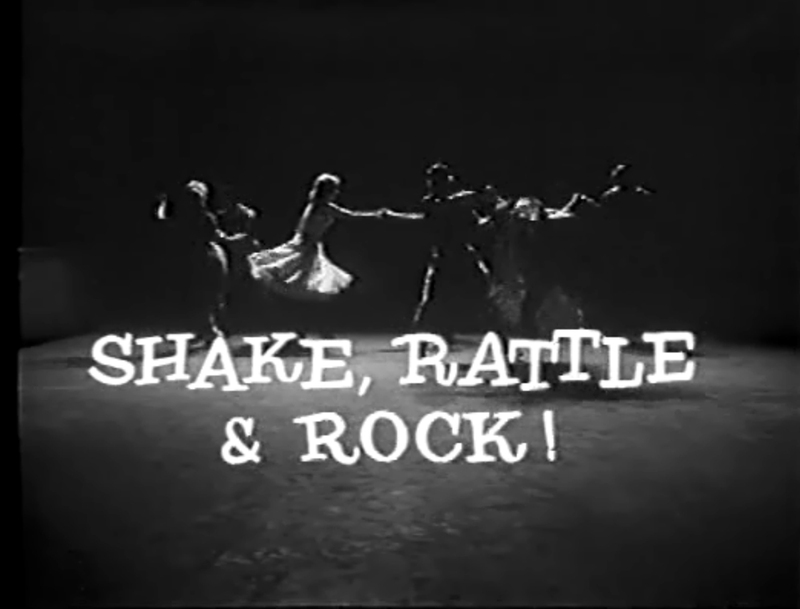 If you want to watch "Shake, Rattle and Rock" while I'm gone, you can find it for free at the Internet Archive! Now that's a winning hand!